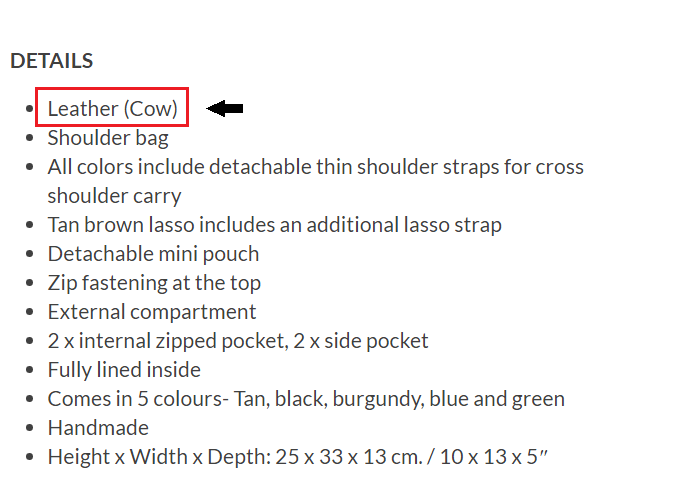 Many of our customers are asking us to vegan bags an option and currently, we have a plan to make some of our offerings using totally free from animals. With this said, we have to reinforce the fact that our animal hide is sourced from dead animals. We will never kill just for the hide. Vegan leather is a kind of man-made leather substitute that does not use any animal parts in the making process. 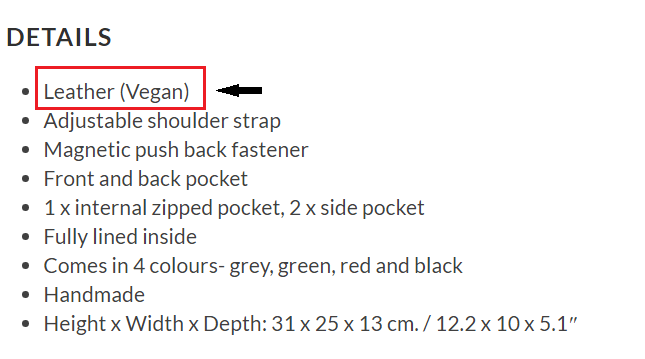 We use the term "vegan" to resonate with a special group of buyers who prefer vegan. The material we use is called PU, and it is PVC-free. It represents a small step towards us becoming an environmentally responsible maker. We have written extensively on the topic of our use of vegan leather. Read it here.